When you have assembled your filters, columns, sort order, etc., you may want to save your search for re-use and/or add it to the My Saved Searches dashlet. You can save any of your search criteria by providing a name for your search in the Save search as field and then click on the Save button. 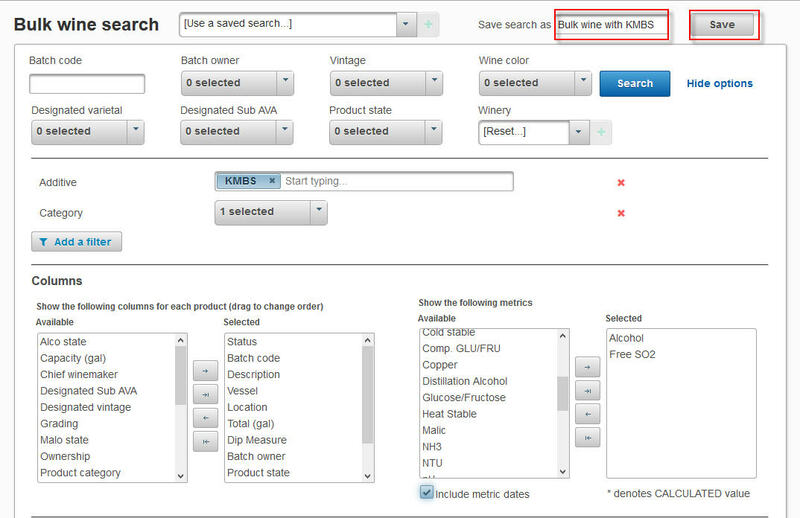 You can then use your saved searches by selecting them from the saved search drop down menu. Your saved search will then appear in the My Searches dashlet on your desktop. 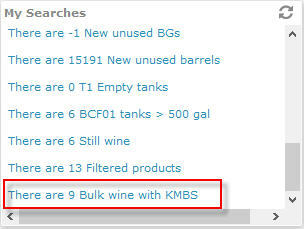 You can remove the saved search from My Searches by selecting the saved search clicking on the unpin icon in the Bulk wine search screen.